OMORIKA is a very special modern handwritten serif font most characteristic with its very cool informal appearance. 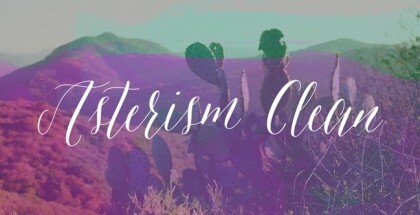 It is really unique with its rough and rigid letterforms that look as if they have just been removed from a Wild West wanted poster. This typeface has a very strong personal character and with it the users will get one-of-a-kind appearance for their projects. OMORIKA font will look extremely well in headlines, websites, magazines, web banners, flyers, covers, packaging, any kind of posters and plenty more. Also, there is a special use for which OMORIKA will be perfect and that is when illustrations are to be mixed with typography. 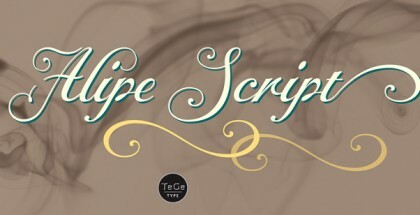 Just imagine the great result you will get with this typeface in a comic strip or in a cartoon! As always with Lazar Dimitrijević’s fonts, plenty is done in terms of the choices provided. There are a lot of discretionary ligatures and stylistic alternates in order to avoid the frequent use of same letters and glyphs. The designer has provided ligatures especially created for Cyrillic. The language support is remarkable too with more than 100 languages. 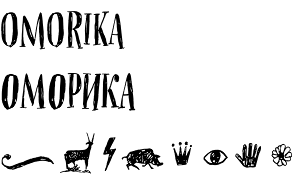 And there is even more – over a 100 dingbats to make the use of OMORIKA even funnier. Get OMORIKA font and the fun is guaranteed!